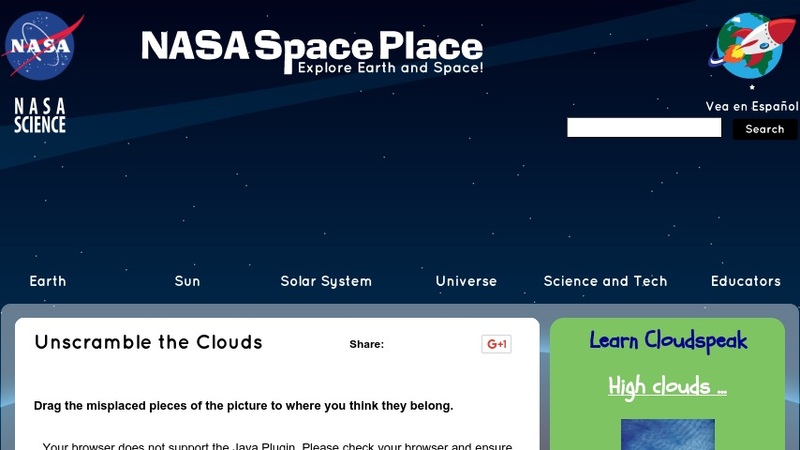 This article offers a brief definition and description of clouds. Accompanying the article is a short drag-and-drop activity. The supplemental "Learn Cloudspeak" article consists of photographs with direct links to the name and a description of each respective cloud type. The article is targeted to children ages 10-12.